It is the most eventful time of my life. Hyderabad is witnessing its biggest political movement ever, called Telangana, which aims to create a new state of the same name within the Indian constitution. 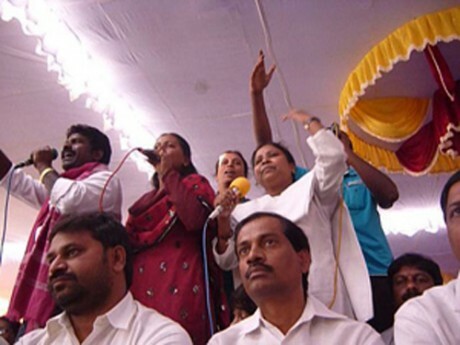 As a participant in the movement, I am spending a lot of time attending rallies, meetings, sit-in protests and non-cooperation events along with my colleagues from the Telangana Mahajena Mahila Samakhya (All Dalit Women’s Association of Telangana). The city of Hyderabad is the capital of Andhra Pradesh – a state in southern India. The capital city and its surrounding ten districts have been always known as the ‘Telengana’ region. We are demanding that the government separate this region from Andhra Pradesh and give it the stature of a separate state. The movement actually started in the 1960s, but has, of late, gained momentum. There are several social, cultural and economic reasons behind this movement. But I will cite the biggest two. First of all, in Hyderabad today, from the government jobs to the booming information technology sector, all the important positions are held by people from other regions. Even the ministers holding the important portfolios are from the other regions. 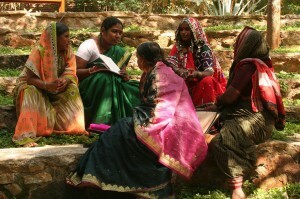 The decisions that they make are seldom in favour of the people of Telengana. The other important issue is that the region has been experiencing severe droughts for well over a decade and as a result agriculture has been badly hit. Thousands of cotton and rice farmers have committed suicide here, while many more thousands have migrated from villages. But nothing concrete has been done by the government to end this situation. Ironically, several rivers flow through the region, but the water is diverted off into canals and made available to other regions. In fact, things have reached such a state that Telangana region is now synonymous with poverty and backwardness. The answer is that about 80 per cent of people in Telangana region are from Dalit and other minority communities. We have no land, no education and little power to make decisions. So, we don’t have a voice. In short, we are people who have been forgotten and failed by their own state. As a result, we have lost our faith in the state. We want an alternative: a state that will put us – the poor and the backward people – in the forefront and create its policies around them. I feel the fact that we are demanding a new state is a sign of faith in the nation and its constitution. A lot of people, on the other hand, have lost that faith and have joined the armed Naxalite movement against the government. Today that Naxalite movement is threatening to break the democratic system of our country. Compared to this, our Telangana movement reflects that people are ready to have a new beginning and build a state that will take care of their needs and their aspiration. And I am going to make sure that more women from my community participate in the movement. Because, it is time we played a stronger role in shaping our own future.